eXPD8 received the activity information from the Client and before we compiled the brief for the field, we visited one of the local stores which had been selected by the modular planning team to trial the new Decompression kit, so we had a better understanding of what crucial information we needed to put within the brief and to make sure we communicated this to the field team so the activity ran smoothly across the decompression trial stores. When we gathered all the information needed we spoke to our Central Office team who created the brief and questions for the field. Compliance questions were then loaded to our Merchandisers tablets, where during their call in store, they took images of the bays and detailed any feedback needed within the call time. A mailing list was created for the replacement/ new pos for the bays and this was then sent to our Merchandisers home addresses. Complete at home calls were also loaded to ensure every package landed with our Merchandiser before the visit. 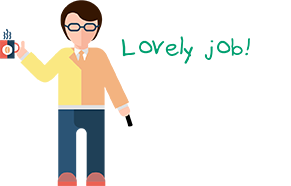 Call question data was gathered by our team and we considered solutions based on issues which the merchandisers had reported back to us while in store. 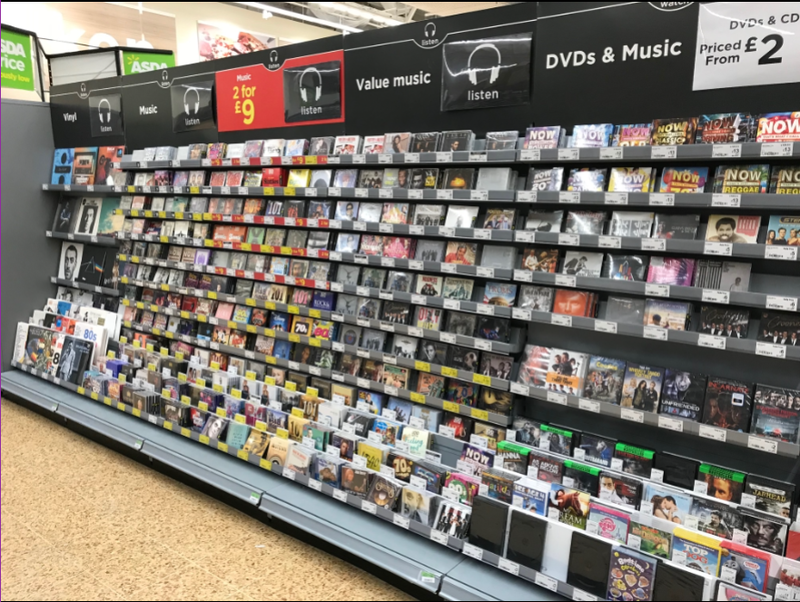 Before speaking to ASDA regarding how well the activity went within the trial stores, we looked deeper in to the data from the field and felt we needed to come up with a solution which would help ASDA regarding pos by making sure each bay was correct and matched up with the new modular selves. With a solution in mind and a quick turn around, I spoke to the Client and suggested “mop up calls” which they agreed would be beneficial. 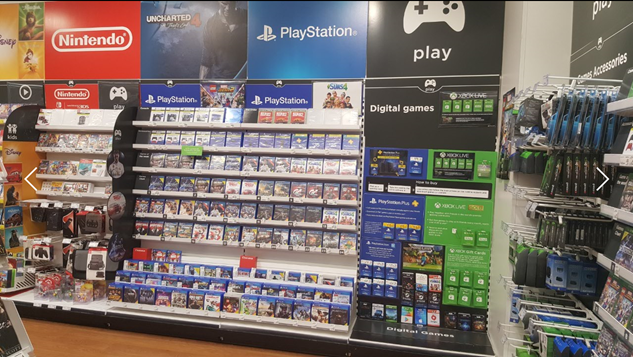 The feedback we received from the stores was very positive, they were really impressed with the work carried out by eXPD8 in such a short space of time. The new layout looks clean, customer friendly and easy to replenish by the MVG colleagues on the department. eXPD8 supported Asda's decompression shelving trial within their MVG Department. 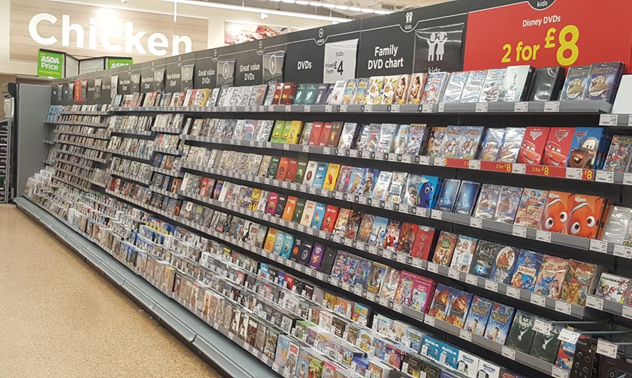 Asda required help with their new decompression shelving on Music, DVD & Games in 7 trial stores across the country. We briefed our field team that 2 merchandisers were to attend store post 3pm on the scheduled day to remove the old compression tier shelving from the bays and replacing them with single shelves. Merchandisers were to walk in replacement, blockers, headers, chart numbers & SEL stripping. "eXPD8 have exceeded my expectations regarding the decompression trial activity including the planning / briefing from the team. I was informed with daily updates from eXPD8 on how well everything was going including issues which may have occurred in store. The execution by eXPD8 in stores looks brilliant on the bays and I have had great feedback from the stores which were selected for the Decompression trial. Overall very pleased with the work throughout the activity."